The average monthly expense for Autumn Leaves of Rockwall is estimated to be $5,741. The Rockwall estimate for this type of care is about $4,580. The estimated average cost of care across Texas is about $3,463, which is less than the US estimate of $4,221. The people who work at Autumn Leaves are very professional, friendly and really cares for the people under their care. Best Memory Care place I have checked out. Located within Rockwall, Texas, Autumn Leaves of Rockwall is a community for eldery individuals. They offer senior living in a clean and enjoyable setting. The neighborhood encompassing this community is densely populated, with roughly 27,986 residents in the 75032 zip code. It is a largely wealthier area, with an average per-home income of $90,546. They are centrally located, with healthcare services, retail shopping, and worship services all in a short distance. They are located only 0.9 miles from Texas Health Presbyterian Hospital Rockwall. There are 13 churches within 4 miles, including Lake Pointe Church, Redeemer Bible Church-Dallas, First United Methodist Church - Rockwall, and Lakeview Christian Church. There are also 25 drug stores within 1 mile of the facility. Autumn Leaves of Rockwall can provide many types of senior housing, including assisted living, nursing home care, and dementia care. 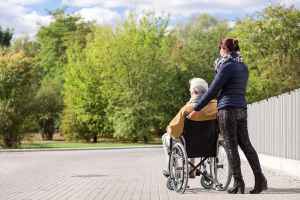 They can care for those who need help with day-to-day tasks but who also wish to retain some degree of independence. They can also accommodate those who are primarily immoble and need to be under the care of medical professionals on a regular basis. Additionally they can service those who are dealing with dementia and who have difficulty with day-to-day tasks, and who need special support on a frquent basis. This community boasts assorted medical services like general help with personal care, nurses on site, medication support, dentist care available, and psychiatry services. Additionally, they offer a myriad of personal services including laundry services, a 24-hour staff, and transportation services. Finally, they offer different facility amenities that include an on-site convenience store, an outdoor garden, a community dining room, walking trails, and an on-site beautician.